Last Friday saw staff and children baking, judging selling and eating cakes to raise money for McMillan. This was one of the charities who helped take care of Mr Whitehouse, so we decided that a Peacemala theme was fitting. Here are a few of our entries! We raised a whopping £870 for McMillan !!! 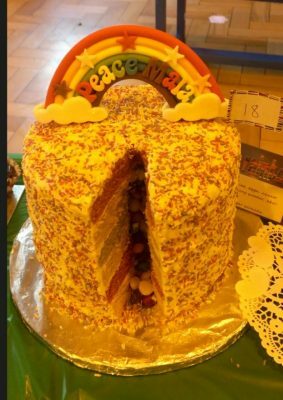 Read More The Great Newall Green Bake Off!